My test results are in. 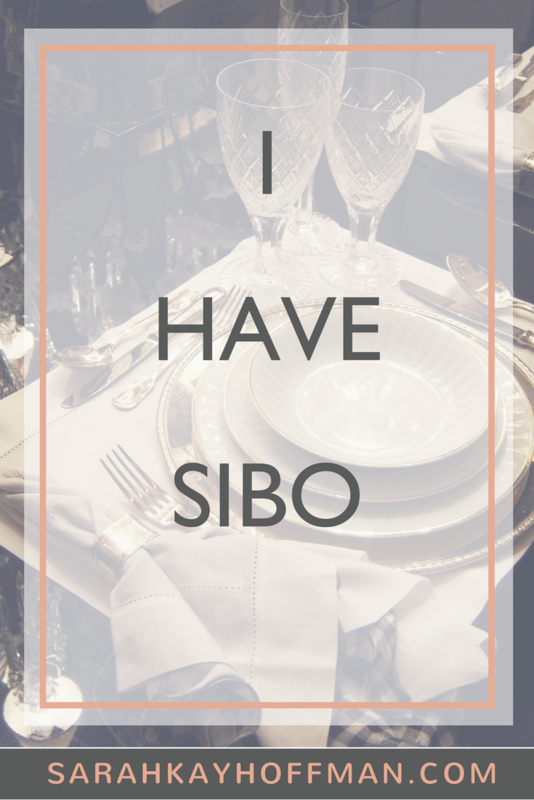 I have SIBO, and…. But they do not have me. It’s been 16 days since I began my MD‘s protocol. Like some sort of miracle, that image above is gone. But I am not healed. The outward appearance doesn’t always tell the full story. I found out that inside I am wearing and tearing down, quickly. Healing this is going to take time. I always knew I had Colitis. I even suspected SIBO. The rest I was 100% unaware of. I am on an extensive (and most would say intensive) supplement and diet protocol now with – yes – one medication in the mix. It’s a medication you’ve never heard of because Western doctors don’t typically prescribe it (and no it’s not Prednisone). This regimen makes me feel like I have a part-time job, but yet I feel grateful for answers. I am healing now, not dwelling. It feels SO GOOD to finally be here after 10+ years. The Internet is filled with “wheat bellies” and food-phobics quite honestly, and I am doing no justice to other people or to myself by dwelling along with it all. I’d be lying if I didn’t tell you that this comes at the wrong time (holiday food anyone?!). But the timing is never right for almost everything in life. I am not on my time. I wasn’t with her, or with him or with Colitis or with anything else. I am on God’s time. There is a reason I was referred to Dr. Schweig when I was (thank you, thank you, thank you, Marci). I fully believe it’s because my gut was telling me “diet” would only take me so far. Turns out that was right. 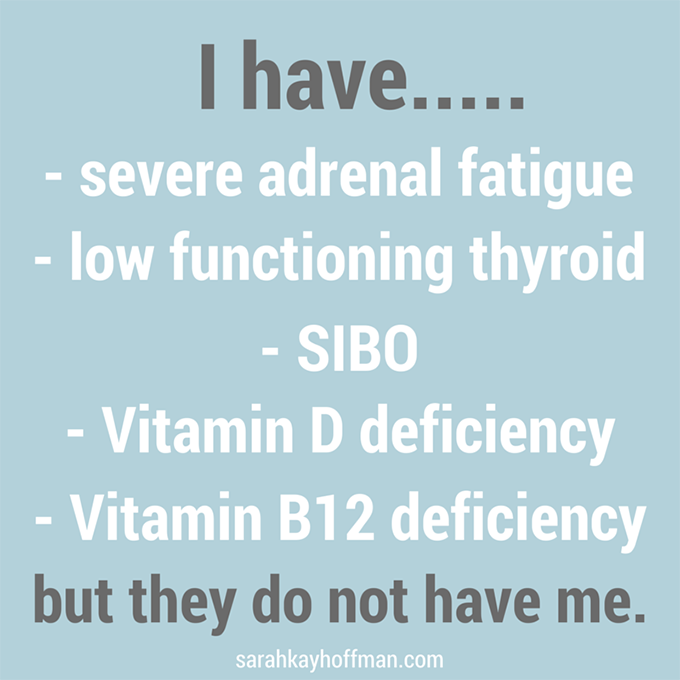 No “diet-only” protocol was ever going to help the severe adrenal fatigue and/or other things I have going on – this I know for sure. Healing, not dwelling. This means I have to make some major changes in my life. For me. In order to get better. How will this fit into my schedule? It’s going to fit. There will be no schedule. Instead, whatever it takes. Like everything else, there is beauty in the dust. 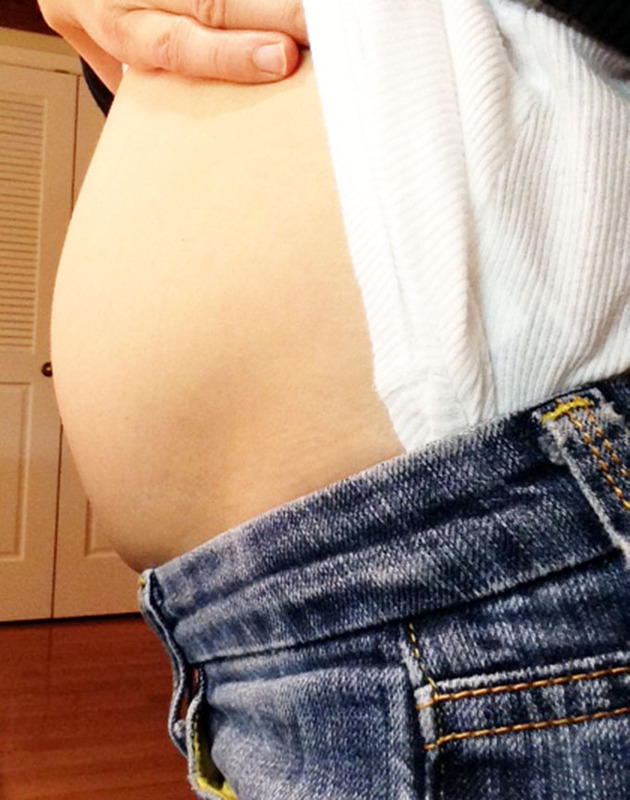 A calm belly today and hope surely is beautiful. p.s. If you’ve tried everything diet-wise and your gut is still off, I would strongly recommend finding a doctor like Dr. Schweig (though it will be hard!). Getting the appropriate tests is critical (I did tests that no Western doctor ever thought to do for me). Once you know what’s wrong, and no, not via Dr. Google, you can start truly getting better! Hi there :), we have such similar gut issues. I would love to know where the doctor is located that helped you. I’ve been on a healing journey through diet for about a year and I would love a great md to help me. I’m located in Tracy, ca. Thanks so much! Yay!! I’m so glad to hear this! I go back in to my NP to find out my test results, too. I’m. So. Excited. Sometimes medication does help. Keep your chin up, girl! You will be feeling better soon! Yes, this medication is helping, but I’m confident that a combination of the supplements/diet protocol/med are what’s doing the trick. AND the lifestyle change is HUGE!!! I am sure the timing is not great – I basically eat cookies for the entire month of December, so I hear you girl. But I am so happy you have answers! I went a erasure extreme emlimination diet for about 6 months in 2013. There were moments it was hard, but it was SO WORTH it. I know you are going to heal heal and feel amazing! you got this! we’re here to support! p.s. what labs did you use? oh girl!! I’m so glad you got answers!! I am living in the Bay Area and am considering booking an appointment with Dr. Schweig. If you are willing, I would love to email you privately to discuss your experience with him in a bit more depth and to ask a few questions (if you are willing to answer them) to decide whether or not to proceed. My email is in the comment form, so feel free to ping me there directly when you have a moment, or let me know the best way to email you! Thanks very much! Absolutely, Samantha! Shoot me an email: sarahkayhoffman (at) gmail.com Thanks! What kind of doctor is Dr. Schweig? I have been trying to find a non-traditional doctor close to me, but other than taking a part time job of Google-ing every doctor that my insurance covers to find the right fit. I have just been avoiding it all together! Hi Sara! I have linked several times to him. Follow the links and you can learn all about him. He’s amazing! Cannot wait to hear/read how you are adapting your diet to help heal your stomach/body. 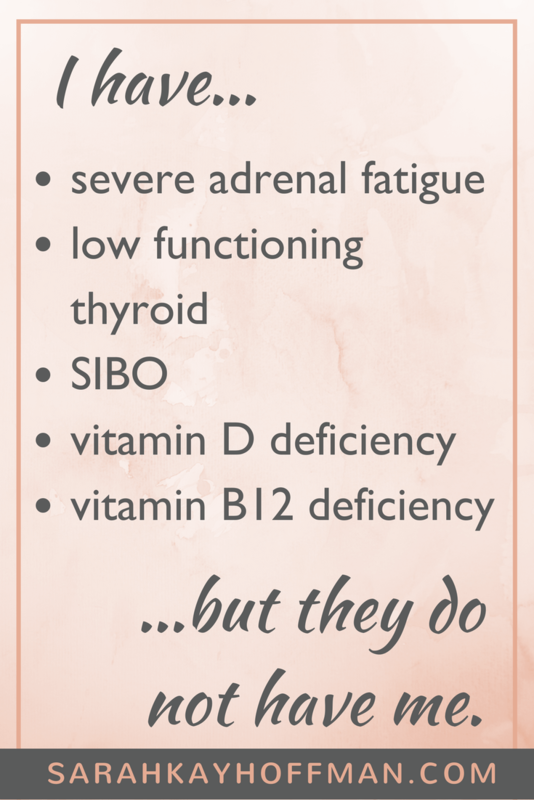 I think I too suffer from several of these conditions and am frustrated that people do not understand how uncomfortable it is and how hard it is to find food that will not cause pain. Please keep us informed of what is working for you especially since not all of us are blessed to have such an amazing doctor to visit!